The biggest star Doha has ever seen! Paris Hilton takes the city by storm on the 25th and 26th of January at Mondrian Doha! Paying a Tribute to 15th Istanbul Biennial’s Theme: A Good Neighbor! The biggest celebrity ever to visit Qatar, entrepreneur, singer, DJ and socialite Paris Hilton will be in Mondrian Doha as part of our I Love Paris weekend. Check out our calendar of events for the 25th and 26th of January below to find out when you can spend a night with Paris! Come party with us at Doha's most exclusive nightclub. Friday January 26th promises to be the biggest night the city has ever seen, hosted by none other than Paris Hilton at Black Orchid. DJ Joe Stone will be on the decks to keep the party going until the early hours. Book your tickets now to ensure you are part of the spectacle! Entrance is only permitted for: couples and mixed groups. Dress code: Dress to Impress. Membership is required for entry. Apply for membership now at bit.ly/Are-You-In or call 5007 1999 for more information and table bookings. Join us at Morimoto Doha! Friday 26th of January will see Paris Hilton pay a visit to the "best restaurant in Doha", where our chefs will be preparing special Paris Sushi Rolls and a Paris Combo. An a la carte menu will be available on the night. Call 4045 5999 or click here to book your table now. 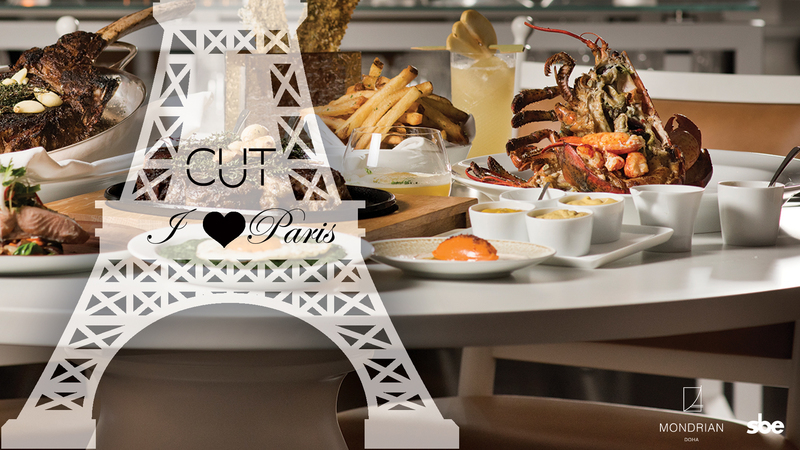 It's "Vive la France" time at CUT Doha and we're loving all things French at our Brunch on Friday January 26th. DJ Natalie Roache will be setting the tone for the afternoon. Make sure you book now to avoid disappointment! Call 4045 5999 or click here to book your table for brunch at CUT. 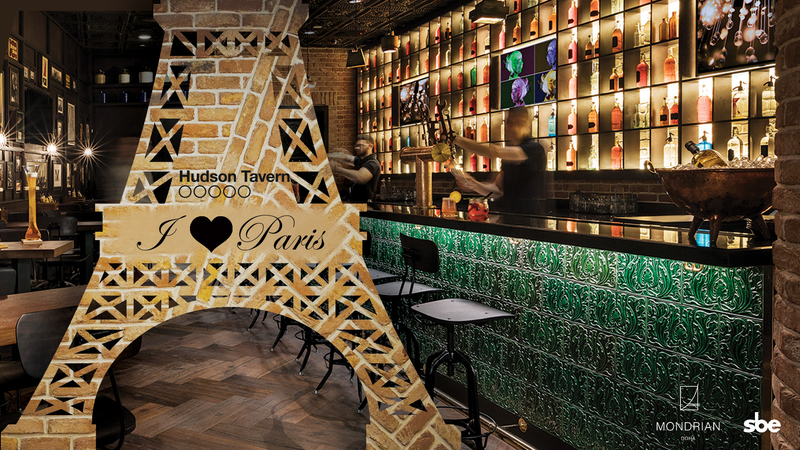 New York turns into Paris for the night of January 25th! DJ Nuria will be getting the party going as you enjoy French-themed food and drinks. Call 4045 5999 to book your table in Hudson Tavern. Magnolia Bakery, set in Mondrian Doha's Frozen Forest, celebrates Paris on the 25th and 26th of January with custom designed pink and black cupcakes. Make sure to get them while they last! An a la carte menu will be available.